The 1st Gen iPhone took the world by storm. With its multitouch graphical-user-interface, Safari-based internet capability, and sleek design, it quickly became one of the most popular smartphones ever (shameless plug: we were the first to take it apart!). With subsequent models having since been revealed, some parts for this version are very difficult to come by. 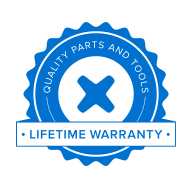 However, we do offer a variety of components for repair, as well as free guides for help in fixing it yourself! Select your category below or browse all compatible parts to find what you need to fix your iPhone!